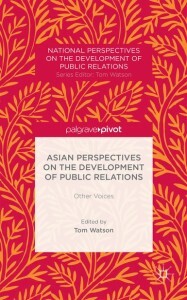 BU’s Professor Tom Watson is editor of a new book series offering an authentic world-wide view of the history of public relations, free from the corporatist Anglo-American emphasis that dominates most literature in this discpiline. 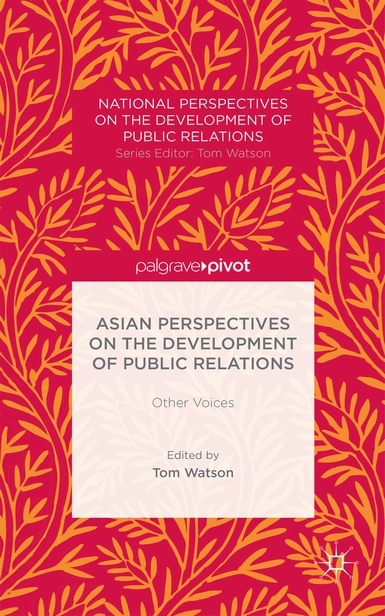 Asian Perspectives on the Development of Public Relations is the first in the National Perspectives on the Development of Public Relations series published by Palgrave Macmillan. The series will feature six books, five of which cover continental and regional groups and one of which contains essays on new and revised historiographical and theoretical approaches. The next volume to be published focuses on Eastern Europe and includes a chapter on Hungary from BU’s Gyorgy Szondi. Tom is Professor of Public Relations in the Media School at BU and has published extensively on the history of the discipline. He is founder of the European Public Relations History Network and is behind the annual International History of Public Relations Conference, which next takes place in Bournemouth on 2-3 July 2014. PR Moment is a blog exporing the evolution of PR. Professor Watson’s full article, PR is the same all around the world – Wrong! can be read online.